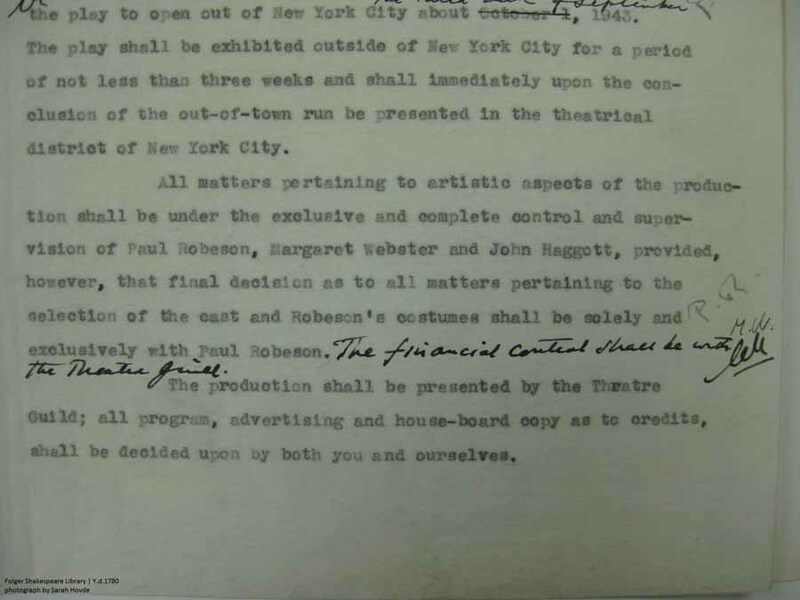 The two unassuming typescript pages below are the contract made between the Theatre Guild and the play’s producer John Haggott, director Margaret Webster, and star Paul Robeson. The contract sets out the expected run of Othello – starting outside of New York City for three weeks before opening in New York’s theatrical district – and shares creative control over “all artistic aspects of the production” between Robeson, Haggott, and Webster. Additionally, it gives Robeson, “solely and exclusively,” the final say on casting and costume decisions. 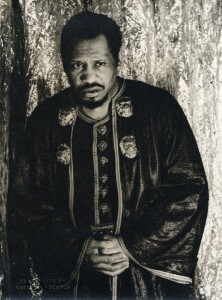 The souvenir program included a full spread of still photographs from the play, background on Othello‘s theatrical history, and commentary by Webster on the centrality of race to Othello and how previous casting decisions had handled this aspect of the play. Want to learn more about Paul Robeson? Listen to this Shakespeare Unlimited podcast episode, and be sure to check out our upcoming America’s Shakespeare exhibition.